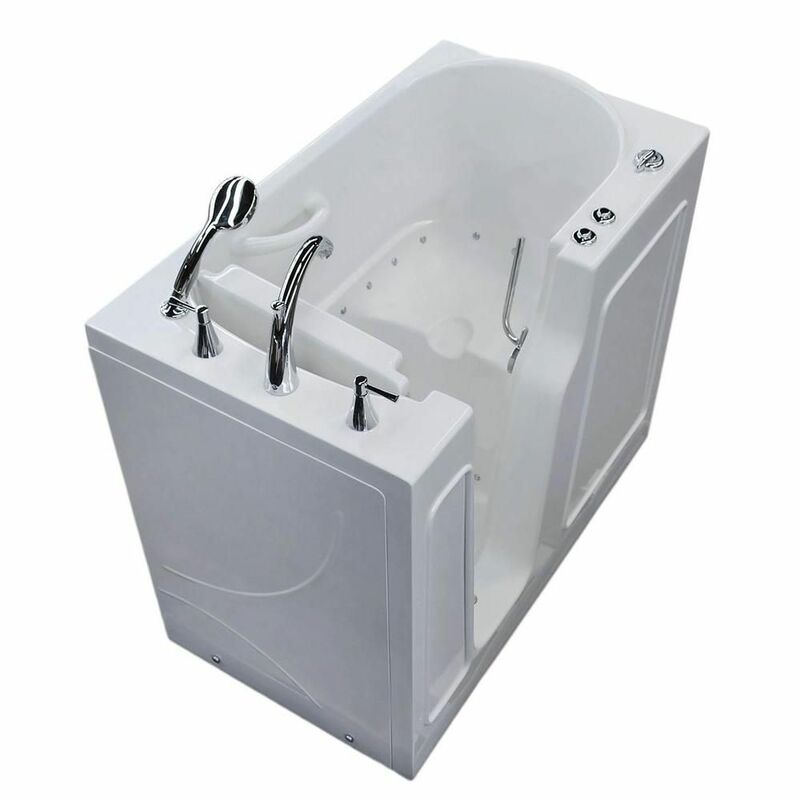 3 ft. 9-inch Left Drain Walk-In Air Bathtub in White 46 inch L x 26 inch W x 38 inch H Walk-In's provide a safe and independent bathing experience. Using the latest in tub crafting techniques and industrial grade materials Walk-In Tubs offer an impressive line to meet your specific needs. Walk-In Tubs offer the satisfaction and peace of mind needed to truly enjoy a luxurious soak or a vibrant, soothing experience. 3 ft. 9-inch Left Drain Walk-In Air Bathtub in White 46 inch L x 26 inch W x 38 inch H is rated 4.0 out of 5 by 1. Rated 4 out of 5 by Steve from Good quality, a bit small The product quality was very good, and install was straightforward. The client complained that it was difficult to get the door open, since her legs were blocking it. It would be wise to sit in a comparably-sized unit before buying to check on leg clearance.